Generally I do not eat legumes, not to fit into a label but because I listen to my body. I find most legumes difficult to digest and sometimes bloating. I therefore choose to opt for other, easier-to-digest, alternatives which is why I love Raw Carrot Hummus. I do not suffer from an intolerance but my body does not appreciate legumes and it does love healthy fats and proteins. I have a low carb diet, with the exception of fruit, which helps me to listen to my body, curb cravings and always feel super satisfied with all my good fats! Happy lady over here! With all this is mind, I do still miss hummus! Along side an almond hummus, I adore a carrot hummus. It is still filling with the beautiful almonds and tahini but definitely not as heavy as a chickpea hummus. 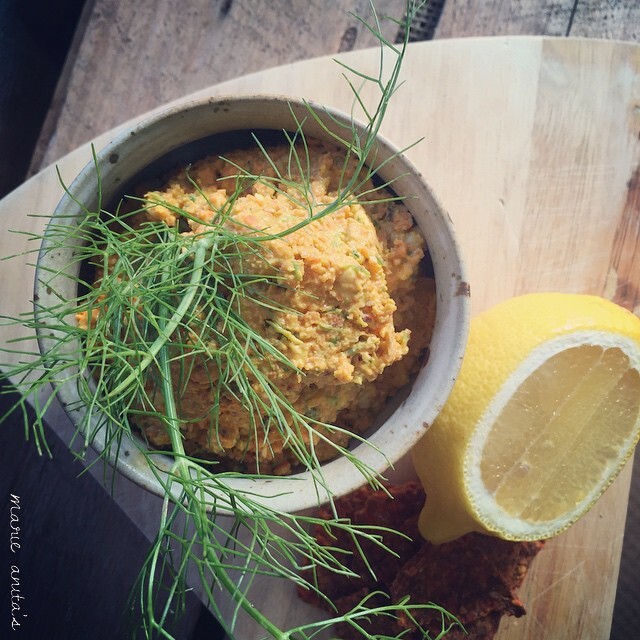 Works perfect for a light snack or a picnic where you don’t what to fill up on dip. 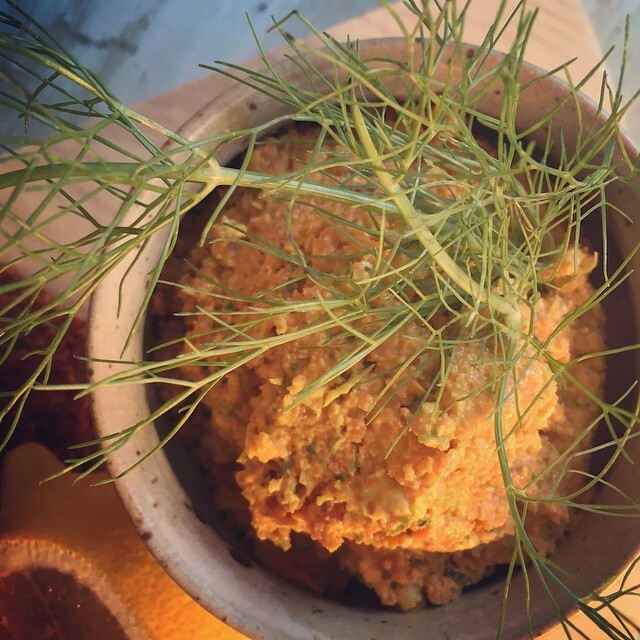 So how do you make Raw Carrot Hummus. Recipe note; I absolutely love lemon, so I opt to add 2 big juicy lemons!! I can sometimes also overdo this … so feel free to add 1 lemon and a splash of water to help loosen the dip and make it creamy. Enjoy! If needed, add a splash of water to help loosen your dip and make it creamy. Too easy!